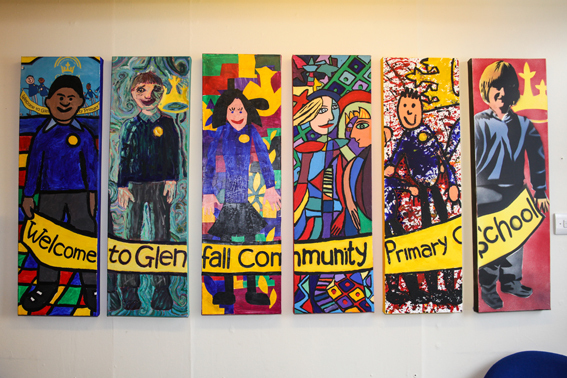 Welcome to the website of Glenfall Community Primary School. It gives me much pleasure to introduce you to Glenfall Primary School. The school has a long tradition of excellence which continues to develop and I am very confident that your child will be able to take advantage of the many and varied activities which are part of the school’s life. Please take time to browse the website. It contains a great deal of very valuable information, which you will find most helpful. However, there is nothing like visiting in person for getting a flavour of the school, and discovering what a very special place it is. I therefore would like to extend an invitation to you to come and view the school when it is in session. Should you have any queries arising from the website, do not hesitate to contact the school. We will be only too willing to help. If you are looking at this website with a view to sending your children to Glenfall and you would like to visit the school please either phone the school office on 01242 234055 or send an email to us here.